Friday, Freebies and Favorite Things! TGIF! It has been a long, snowy week here in the Northland. But it's the weekend now, the snow is melting, and I have a few new favorite things this week: Alexa, PDF Plotting, and the new free pattern releasing today at George + Ginger! 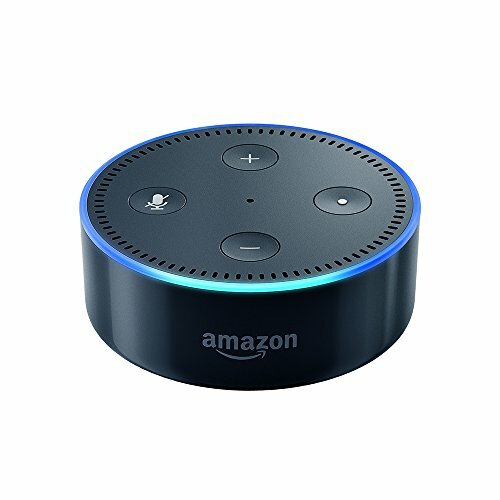 Guys, I made a totally spontaneous purchase on Monday, and I bought an Echo Dot from Amazon (it was on sale, so it's justified!). The reason I bought it: I really just wanted to listen to public radio while I sew. I realize I could have bought a radio . . . or got techie and figured out away to do it on my bluetooth speaker, but this was so much easier. First world problems, right? But, I've been loving it. I've asked what the weather is, what's in the news, and requested a joke. Best use yet: "Alexa, set a timer for three minutes for Grant's timeout." Haha! Honestly, I've mostly just been using it for music, but I gotta say, as a mom of three, I'm mostly loving that she listens to what I say and does what she's asked the first time- ha! It's the little things in life. My husband's making fun of me about it, but for $40, I'm sold. It's been great to have some entertainment when I'm staying up late sewing or home all day with the kids. I'm starting to get the blog at George + Ginger up and running, and I had reached out to a couple businesses about collaborating. One of the businesses I approached was PDF Plotting. My home printer and I fight on a regular basis, and I'd always been interested in using the A0 large format printing that's included with patterns. The customer service at PDF Plotting was fantastic and they're sew up specifically for sewing patterns. I was so excited to use my A0 patterns this week! It's so nice to not have to tape/glue patterns together-- plus these fold up so much nicer for storing! If you're interested in the print services, pop over to their site (use code GG15 for 15% percent off your first order through May 31st) or read more about it on the George + Ginger blog. The prints are perfect for extra big patterns, like maxi skirts, which brings me to . . . Okay, so my favorite thing this week has got to be the new Festival Freebies from George + Ginger! The skirt is a true wrap, with buttons or snaps for closures. I'm planning two hacks-- adding a ruffle and doing it as a tie closure. I can't wait to see your Festival Freebies sews! The pattern is listed at the G+G site, so pop on over and snag your free copy, no coupon code needed. Let me know if your try PDF Plotting and give me your favorite Alexa skills!